جيمي جيوفري (26 آوریل 1921، دالاس – 2008) یکی از مهمترین نوازندگان چند سازه (انواع ساكسفون، كلارينت و فلوت)، آهنگسازان و تنظیم کنندگان بزرگ جاز و يكي از كليدي ترين مدرنيست هاي كرانۀ غربي آمريكاست. پس از کار در ارکستر نیروی هوایی در سالهای جنگ به دوره سویینگ پا گذاشت و در ارکسترهای جیمی دورسی (1947)، بادی ریچ (1948) و وودی هرمان (1949) شهرتی به هم زد. از آنجا رهسپار غرب آمریکا شده و ابتدا در کلوب لایتهاوس (Lighthouse) و سپس با شورتی راجرز مشغول به کار شد. از اواخر دهه 1950 گروه های متعددی با جیم هال گیتاریست ، باب بروکمیر ترومبونیست و چندين نوازندۀ باس ، تشکیل داد. در 62-1960 یکی از پیشروترین گروه های جاز را به راه انداخت؛ تريويي انقلابی كه شامل استیو سوالو (Swallow) نوازنده باس و پل بلی نوازنده پیانو بود. به مرور قطعاتی که توسط جیوفری برای اجرا در این تریو (Trio) ها نوشته می شد پیچیده تر و غریب تر می شدند. آلبومی از این دوره که به عقیده بسیاری شاهکار مدرن جیوفری محسوب می شود Free Fall نام دارد، این آلبوم که برای کمپانی کلمبیا پر شده بود ، یک شکست تجاری تمام عیار در زمان خود بود. جیوفری هدایت این گروههای کوچک را که معمولا برای کمپانی های صفحه پر کنی مهجور ضبط می کردند تا دهۀ 1970 ادامه داد و همزمان به تدریس موسیقی جاز در دانشگاه دست زد. جیوفری از نخستین کسانی بود (حتی قبل از جری مولیگان) که کوارتت ها و تریوهای جاز را به قول خودش «از شر پیانو خلاص کرد» و قلمرویی بین چیزی که خودش «جاز فولکلور» می خواند و Free Jazz پا گذاشت. آثار ضبط شده از او در نیمه نخست دهه 1960 زیبایی سحرانگیز و رازگونه نقاشی های سوررئالیستی را با اصوات بیدار می کنند. Jonathan Rosenbaum has published three of his “jazz on film” pieces on his website. Those are essential films, two of them with the rare footages of jazz giants in their prime time (Fats Waller and Duke Ellington) and one, an underrated Robert Altman’s documentary-like remembrance of Kansas City jam sessions of 1930s. Though it’s more a cinematic description of those films, it would be a great piece for jazz fans to read, too. I think among all critics, Jonathan’s view of this kind of films would be something unique because after all he is a jazz fan and as long as I know a man of keyboards. 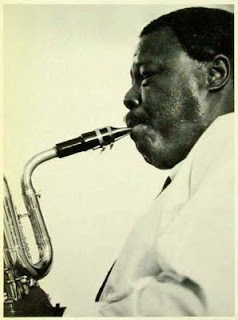 As a matter of fact I was working on these very titles myself for my jazz films project, which I started to publish part of this lengthy research on May 2002. It was printed in Film magazine, and was composed of a long essay and filmographies under the title, “From Mozart to Morrison”. Three years later a sequel, this time with more focus on documentary and Rock ‘n’ Roll, appeared on Film again. And now it has been extended to the format of a book. 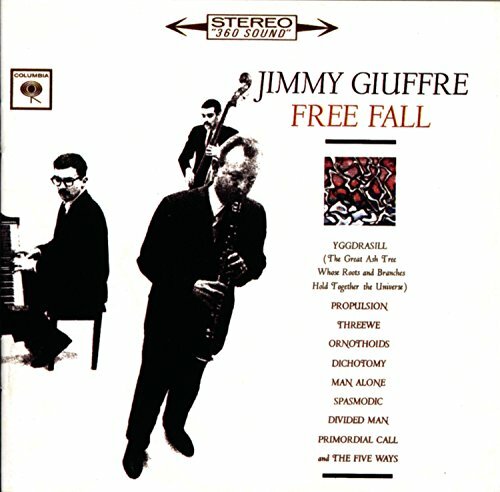 The other day I discovered probably a forgotten Jimmy Giuffre album, The Jimmy Giuffre Clarinet, and I thought it's necessary for this blog to remind his modern conceptions of jazz that seems too progressive (and so folky!) for his time. 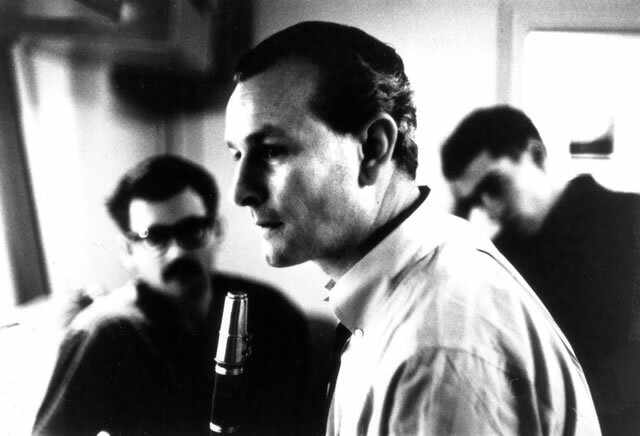 And also available in the box set: Complete Capitol & Atlantic Recordings of Jimmy Giuffre. Album starts with a solo composition of Jimmy, called "So Low" while he is keeping the beat by tapping his feet on the floor. It’s a typical Giuffre piece: abstract, free, relaxed, folkloric and mostly playing in the lower register. In the second tune, “Deep Purple” (composed by Mitchell Parish & Peter De Rose), Jimmy Rowles plays Celesta, an instrument from the piano family with a sound so close to children's music boxes. With Giuffre's tender accompany it really turns to a pleasant lullaby. If you want to know how eager was Giuffre in exploring new territories in jazz, you must listen to a tune by him written for three flutes (Buddy Collette, Bud Shank & Harry Klee) and drums (Shelly Manne), called “The Side Pipers”. Also another example of a reconstructive approach to standards is evident in a odd interpretation of “My Funny Valentine” with Ralph Pena on Bass, Maury Berman on Bassoon, Dave Pell on English horn and Bob Cooper on Oboe. Can you name another artist with such a bizarre instrumentation in the hay days of Cool-mania and west coast craze? It’s not strange that Giuffre couldn’t find a producer or a label to record for, at least for ten years since his most daring and most avant-garde experiments in west coast music. The concepts of endowing standards with the new rhythmic and harmonic ideas blossoms in “Fascinatin' Rhythm”, with master Shelly on drum and Jimmy Rowles doing his magic on piano. Another Jimmy Giuffre Compositions, “Quiet Cook” belongs to the realm that Giuffre was eager to extend during the next decade. An atonal approach to jazz in trio, duo or solo, with or without a usual rhythm section. This is also the key concept of another piece in the album, “The Sheepherder” (Comp. 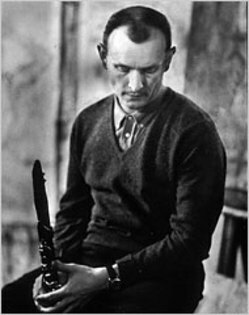 by Giuffre) that consists of three Clarinets. One of my favorite tunes in this albums is “Down Home” (By Giuffre), a relaxed and rich piece, so much in the tradition of cool music of the west coast, with three trumpet masters, Harry Edison , Jack Sheldon and Shorty Rogers. I found it a key album to appreciate Giuffre’s music and an early effort of all those west coast cats to modernize their good old jazz. مانك در 1955 به پيشنهاد رييس كمپاني ريورسايد، كه مانك تازه تازه به آن جا اسباب كشي، تصميم مي گيرد به يكي از بزرگ ترين موزيسين هاي جاز و آهنگساز محبوبش، دوك الينگتون اداي دين كند. نتيجۀ اين نشست ها كه در جولاي 1955 ضبط شد، آلبوم زيبايي است به نام «مانك موسيقي الينگتون را مي نوازد»، با همراهي اسكار پتيفورد (باس) و كني كلارك (درامز). آلبوم دوم مانك براي ريورسايد با نام «تلانيوس مانك بي همتا» شاهكار ديگري است كه در آن آهنگ هايي از آهنگسازان مشهور آمريكايي (اگر بخواهيم دقيق تر بگوييم موسيقي عامه پسند برادوي) انتخاب شده است. به جاي كني كلارك، آرت بليكي طبال اين آلبوم است. اين دو آلبوم براي لذت بردن از تفسير شخصي مانك از استانداردها و تم هاي آشناي جاز كارهايي بي نظير و اسنادي بي جايگزينند. That George Russell who saved my uncle!